We should all be familiar with the 10-cent deal alerts by now. It is a real luck of the draw to see if your home country is included in the sales. 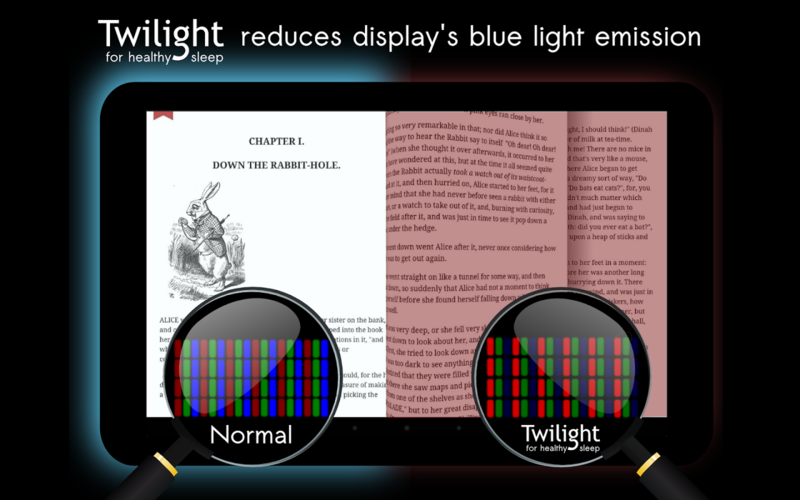 Regardless, here is another app on sale: Twilight Pro. This is a display filter that tweaks the colors on your screen throughout the day (think LiveDisplay from CyanogenMod). It creates what some of us know as "Night Mode" wherein the blue light from the display is reduced to help with eye strain in low-light conditions. The reason this is important is because blue wavelengths can interfere with the photoreceptors in the eyes and therefore suppress the body's production of melatonin, the sleep hormone. If you're interested in a little bit more detailed explanation, Twilight's developers have created a handy presentation. Speaking of those devs, they appear to have put some serious thought, time, and research into this app. They also seem to have some pretty interesting plans for future development, including Android TV and Phillips Hue, to reduce blue light at night in our homes across a wide variety of devices. The Pro unlock gives you a few more options over the base app, like additional pre-defined profiles, adjustable transition time, and the ability to disable Twilight during inactive times. Pro users will also be the first to get new features. For the people outside the U.S., this seems like a good buy, if only to see if it can affect your sleep cycle in any positive way.